WASHINGTON — Sens. Mazie K. Hirono (D-Hawaii) and Tom Udall (D-N.M.), along with 23 Senate colleagues, re-introduced legislation to improve protections for national monuments as part of an effort to counter the unprecedented attacks on public lands by the Trump Administration. The America’s Natural Treasures of Immeasurable Quality Unite, Inspire, and Together Improve the Economies of States (ANTIQUITIES) Act of 2019 reaffirms Congress’ original intent in the Antiquities Act of 1906 that states only Congress has the authority to modify a national monument designation. 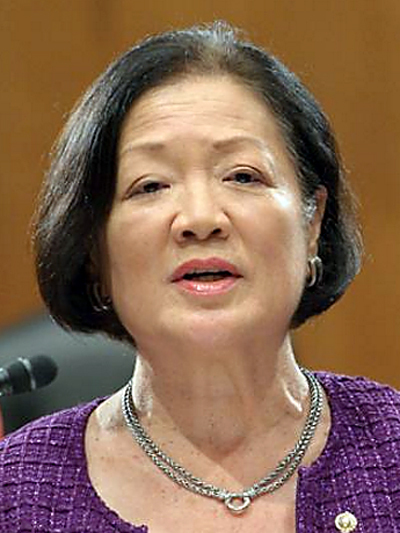 “When the president and his administration abdicate their responsibility for protecting our public lands and demonstrate a blatant disregard for conservation efforts, it’s up to Congress to act,” Hirono said. “Honouliuli National Monument and Papahanaumokuakea Marine National Monument were established with public input and thoughtful planning. Our current national monument designation system assists federal and state efforts to protect and conserve our public lands, preserve biodiversity, honor cultural traditions, respond to climate change, and reflect on our nation’s history. • Declares Congress’ support for the 52 national monuments established by presidents of both parties between January 1996 and October 2018 under the authority granted to the president by the Antiquities Act of 1906. • Reaffirms that existing law clearly states that presidential proclamations designating national monuments are valid and cannot be reduced or diminished, except by an act of Congress. • Enhances protections for these presidentially designated national monuments by 1) requiring that they be surveyed, mapped and that management plans be completed in two years — in the same manner as congressionally designated national monuments — and 2) that they receive additional resources to ensure that they will continue to meet their full potential of providing unmatched economic, recreational, and cultural benefits to their states and to the nation. The ANTIQUITIES Act was introduced in response to President Trump’s announcement that he intends to eliminate two million acres of protections for Utah’s Bears Ears and Grand Staircase-Escalante national monuments — the largest rollback of federally protected lands in American history. During the administration’s public comment process, over 99 percent of the 2.8 million comments received were in favor of maintaining existing protections for our national monuments. Hawaii and the Pacific region are home to several national monuments, including Honouliuli National Monument, Papahanaumokuakea Marine National Monument, the World War II Valor in the Pacific National Monument, Pacific Remote Islands Marine National Monument, Rose Atoll Marine National Monument, and Marianas Trench National Monument. Several leading national environmental groups and organizations have publicly stated their support for the ANTIQUITIES Act, including the National Park Conservation Association, Conservation Lands Foundation, Natural Resources Defense Council, Sierra Club, The Wilderness Society, League of Conservation Voters, EarthJustice, and the National Wildlife Federation. In addition to Hirono and Udall, the ANTIQUITIES Act is also co-sponsored by Sens. Martin Heinrich (D-N.M.), Richard Durbin (D-Ill.), Richard Blumenthal (D-Conn.), Ron Wyden (D-Ore.), Dianne Feinstein (D-Calif.), Brian Schatz (D-Hawaii), Kamala Harris (D-Calif.), Catherine Cortez Masto (D-Nev.), Tammy Duckworth (D-Ill.), Kirsten Gillibrand (D-N.Y.), Jeff Merkley (D-Ore.), Ben Cardin (D-Md. ), Cory Booker (D-N.J.), Chris Van Hollen (D-Md. ), Tina Smith (D-Minn.), Patrick Leahy (D-Vt.), Tammy Baldwin (D-Wisc. ), Patty Murray (D-Wash.) Amy Klobuchar (D-Minn.), Chris Murphy (D-Conn.), Jacky Rosen (D-Nev.), and Michael Bennet (D-Colo.).